Disclaimer: this is an insanely long post. TL;DR - Manila was stressful, but ok. It was pouring rain when I arrived at the Ninoy Aquino International Airport on Saturday night. As soon as you step outside, people bombard you with overpriced taxi services, but you can get a metered taxi if you wait in a slow line. The majority of the cab ride to my hotel was spent sitting in choked traffic. When we arrived at my hotel, I gave the driver 500 Filipino Pesos and asked for change. He pretended to be confused by my multiple requests, so I gave up and overpaid resentfully. I ordered room service, checked my email, and went to sleep early. Living it up in Manila, heyooo! 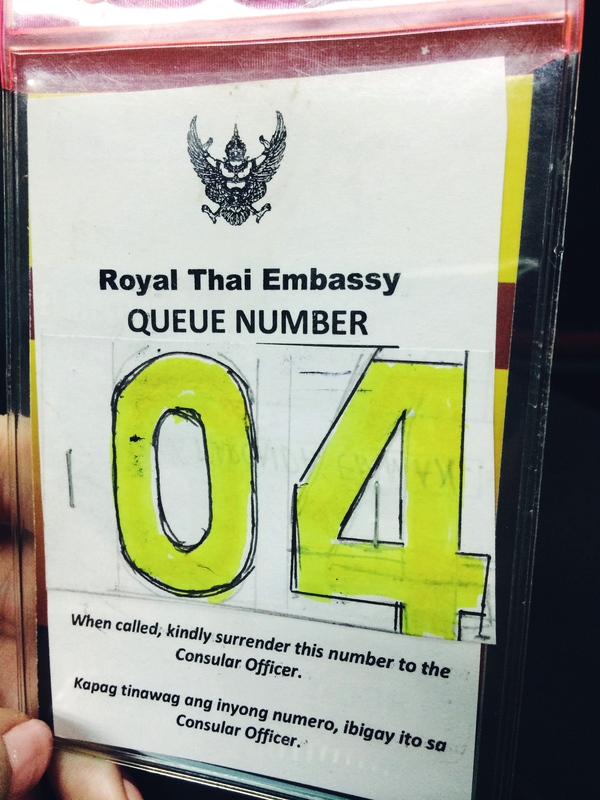 To get a long-term Thai visa, you have to go through a complicated, stressful process. The country has a rule that applicants must submit the visa paperwork outside of Thailand, so I would be spending the next four days in the Philippines. I was nervous about the journey, still being without a debit card (THANK YOU WELLS FARGO). I didn’t want to take all of the cash I had to my name, so I packed money very modestly which would definitely be an issue later in the trip. Many people had warned me that Manila was dangerous, so I was wary about leaving my room on Sunday (flashback to Bangkok day one!). 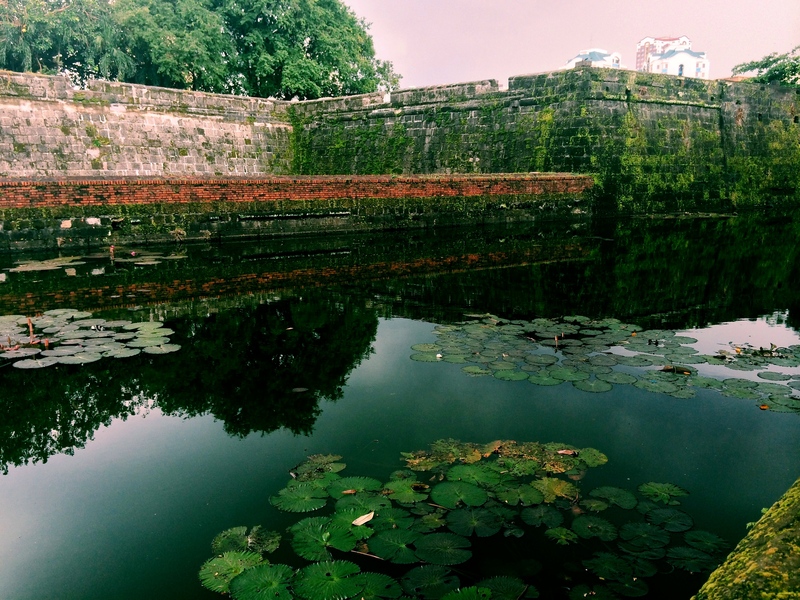 Pressing through the (probably irrational) fear, I took a taxi to sightsee in the city’s historic area, Intramuros. Driving to Intramuros, I had my first glimpse of the city in the daylight. I had never seen this sort of poverty in my life, and felt really terrible about holding an expensive iPhone. The closer we got to Intramuros, the more I started to worry. I had given the driver a very vague request and could only hope he would drop me off at the most tourist-infested spot. 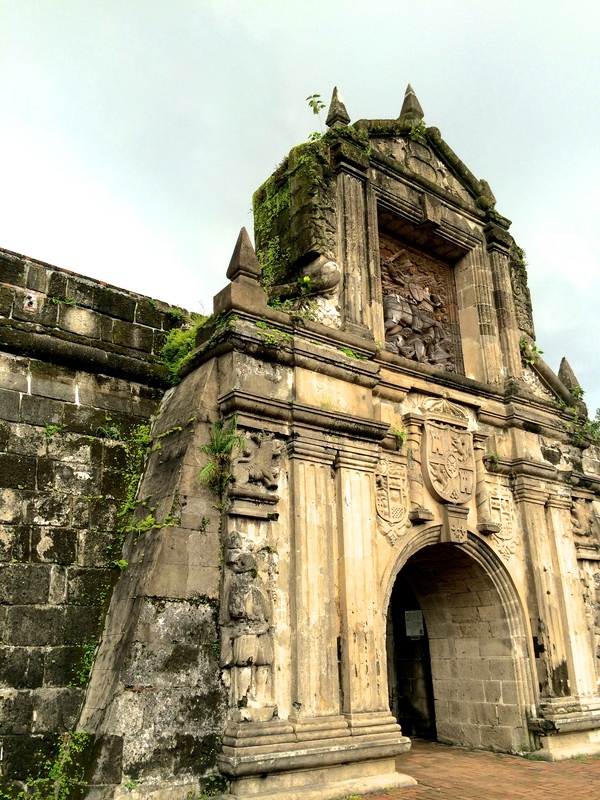 I started freaking out when we passed through the gates of Intramuros. This wasn’t Disneyland, this was definitely still Manila. Stores made out of sheet metal crammed together selling soda and cigarettes. Rusted bike taxis lined the streets, their drivers waiting idly for customers. I didn’t see many tourists and was starting to panic at the idea of getting dropped off to fend for myself. 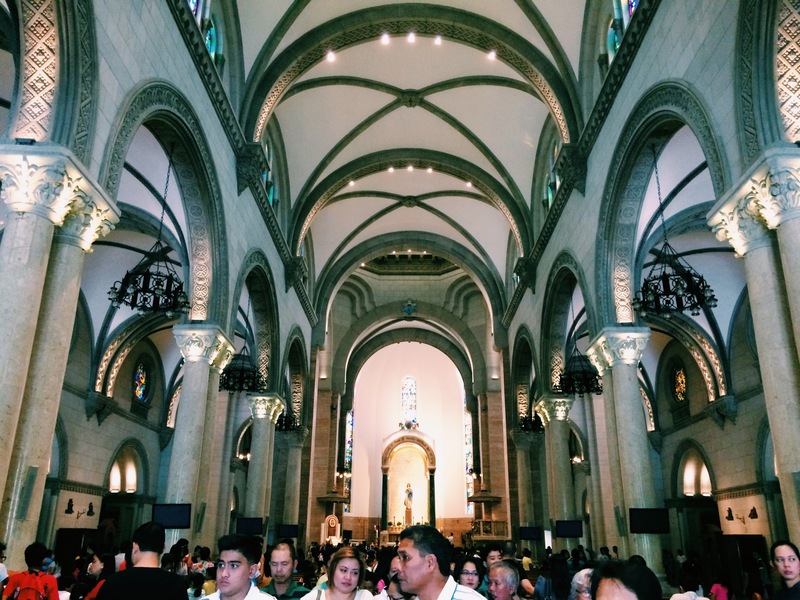 We pulled up to the Manila Cathedral, Intramuros’ shining star, and I got out of the cab. Before my eyes could adjust to the piercing sun, hawkers and beggars began to crowd me. Yelling “Hello, ma’am!” they tried to get me to buy things or donate money. Most were men, but there were also girls around six years old begging, a heartbreaking sight. The barrage of requests mixed with my unease put me over the edge. I was the closest I’ve ever been to having a panic attack. Nearly hyperventilating, I stepped into the church and felt an immense relief. No vendors or homeless, just a bunch of tourists taking photos with their iPads. I wanted to hide out in the church the rest of the day, but didn’t want to give up so easily. 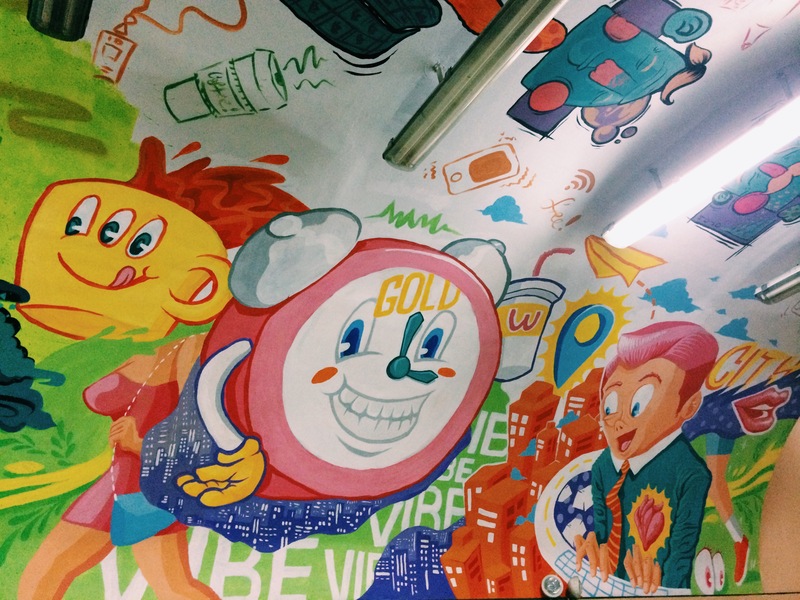 I couldn’t travel all the way to Manila and give the experience a half-hearted effort. I walked back out into the street and followed a group of Asian girls way too closely. Doing a horrible job of being subtle, I was soon discovered and they stopped, assuming I wanted to pass them. 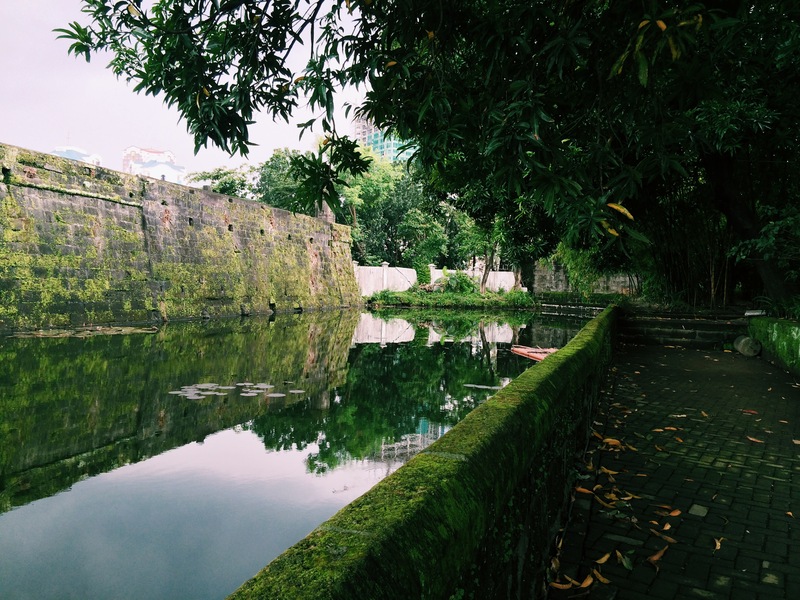 I smiled and went ahead of them into the abyss of Intramuros, clenching my jaw in fear. I tried to relax and thought to myself: Be cool! Act like you’re not about to cry! I ducked into a souvenir shop and calmed down again. The cashier gave me a recommendation for lunch and a sightseeing spot. Feeling better, I bought some post cards and went to Barbara’s restaurant. It’s probably a good rule to avoid lukewarm seafood paella, but I’m a fan of breaking the rules! Kidding of course, but I did eat the cold buffet paella at Barbara’s (and lived to tell the tale). Bonus: there was a spanish guitar quartet playing live throughout the meal. I though the singer sounded a lot like Elvis, and lo and behold, he played Elvis’ I Can’t Help Falling in Love with You. Side note: that song is 100% more awesome performed by a Spanish guitar quartet. 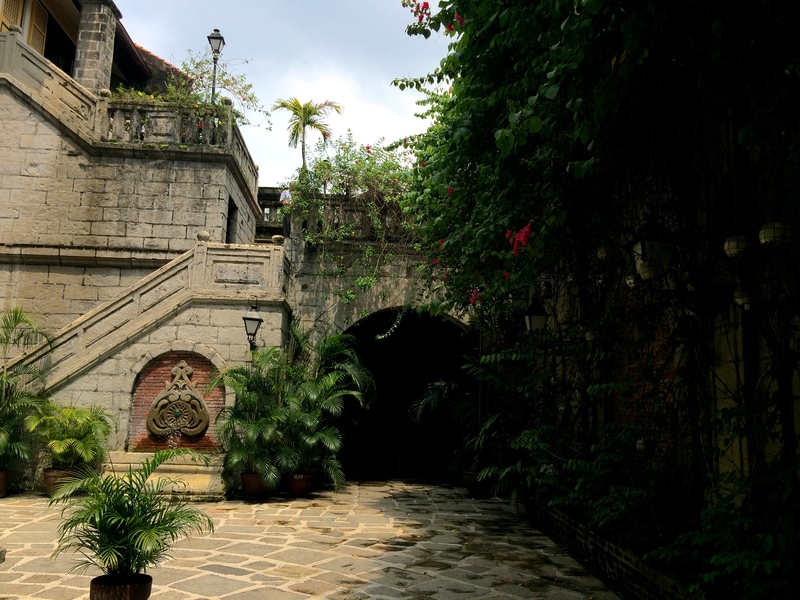 Post paella, I went to Fort Santiago where I paid an entrance fee to tour the historic site. You would never guess you were in the Philippines if not for the Filipino security guards pacing the area. After sightseeing, it was time for another taxi back to Makati. I’m pretty sure every taxi I took had a different meter pace, and will never be sure which one was fair. 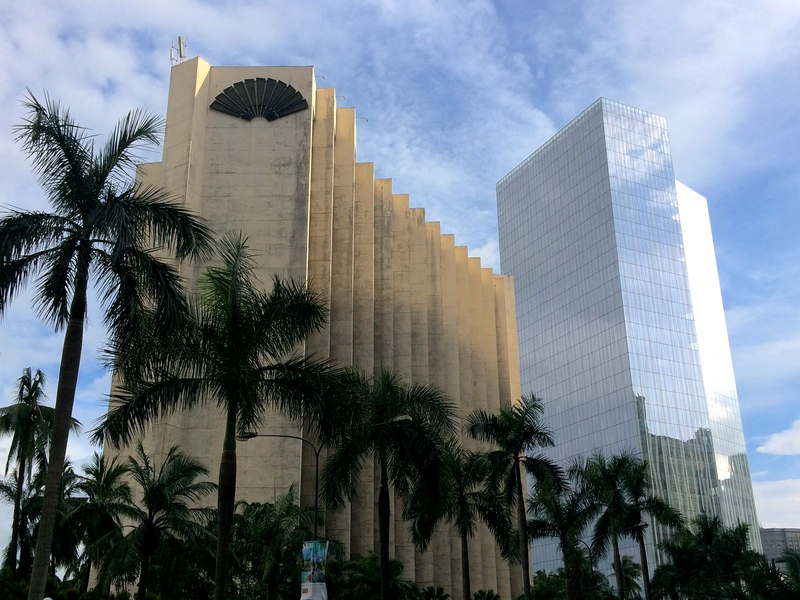 I walked around empty Makati (people stay at home with family on Sundays) and went to the Shangri La Hotel for dinner where I knew they would take American Express. At the Shangri La, I went to the hotel’s (totally empty) bar and Tapas lounge, Sage, where I ordered a cliché tiki drink. The food was good, but my body has been very sensitive since moving to Southeast Asia. I become overwhelmed with nausea from time to time without ever getting sick, which is confusing and unpleasant. This sensation often comes up when eating seafood, so I ate my ceviche very slowly hoping to avoid throwing up at the luxury hotel. 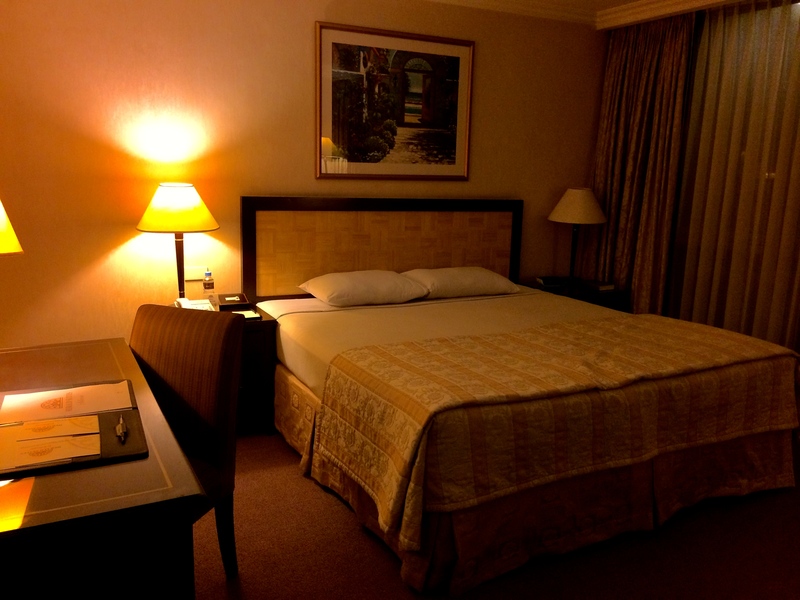 After dinner, it was back to my hotel where I slept for 10 hours. On Monday, I arrived at the Thai Embassy at 9:45 am surprised to find only one other person there. I walked up to the window happily and handed the teller my documents. She started to scowl and ask rapid fire questions. On the airplane, a Filipino woman had warned me that the embassy workers would be tough, and that advice gave me the courage to stand my ground. After she interrogated me, she told me that I was missing documents. I asked a round of useless questions until she finally offered the option of emailing her the missing papers. I left the embassy feeling very panicked. 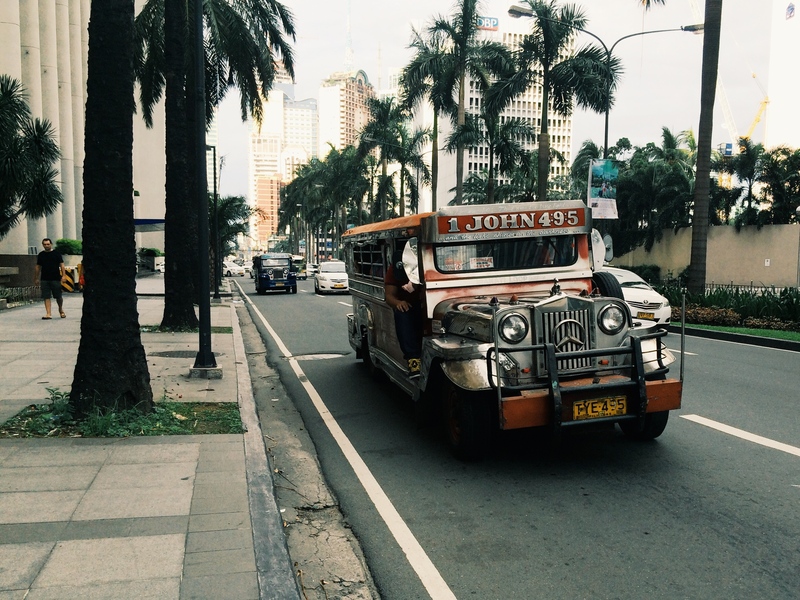 I had no desire to stay in Manila longer than necessary, and set to getting the missing documents from my work. I walked to Greenbelt Mall and found a cafe to work from. I ordered a painfully sweet iced tea and figured out how to get what I needed from the team back in Bangkok. I had a Facebook notification – new friend request! Who could it be? Oh, just the security guard from the embassy. Needless to say, I did not accept the request, although I’m sure he’s a perfectly nice guy. I emailed the missing documents back to the embassy and immediately received a message that my email bounced back. With 15 minutes before the office closed, I literally sprinted through the Makati streets back to embassy. 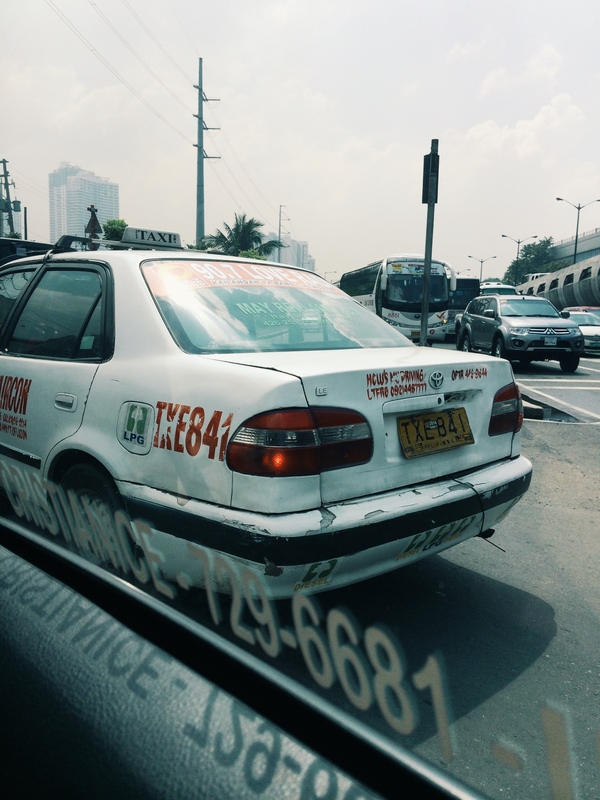 In Manila, taxis honk at pedestrians in hopes of getting business. They honk incessantly if you’re running like a maniac who definitely needs a ride. I ignored them and ran in the 86 degree heat until I found the embassy with minutes to spare. At the empty embassy, the teller said that the email address I used was wrong (even though I double checked when she gave it to me) and handed me the correct version. I went to a cafe for WiFi and ordered an even sweeter iced tea. Someone tell me what idiot keeps ordering iced teas when they hate them every time? I sent the email (then confirmed it was received) and could only wait until Wednesday afternoon to see if my visa application would be approved. 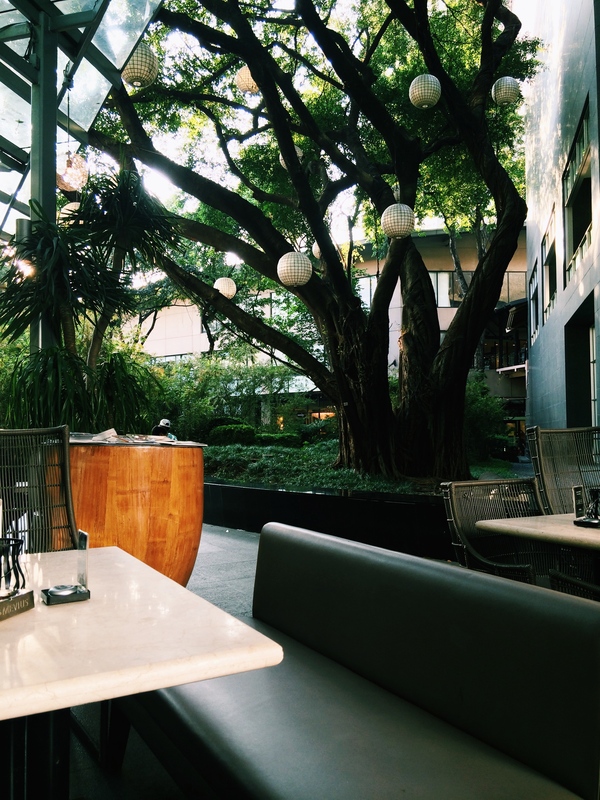 I spent the majority of my time in Manila at the Museum Cafe in Greenbelt 4 where the food was good and the service was friendly. In between periods of piercing sunshine, raging thunderstorms brought down insane amounts of rain. The thunder was so loud that it hurt your ears. Security guards carried giant guns while daintily holding umbrellas to stay dry. 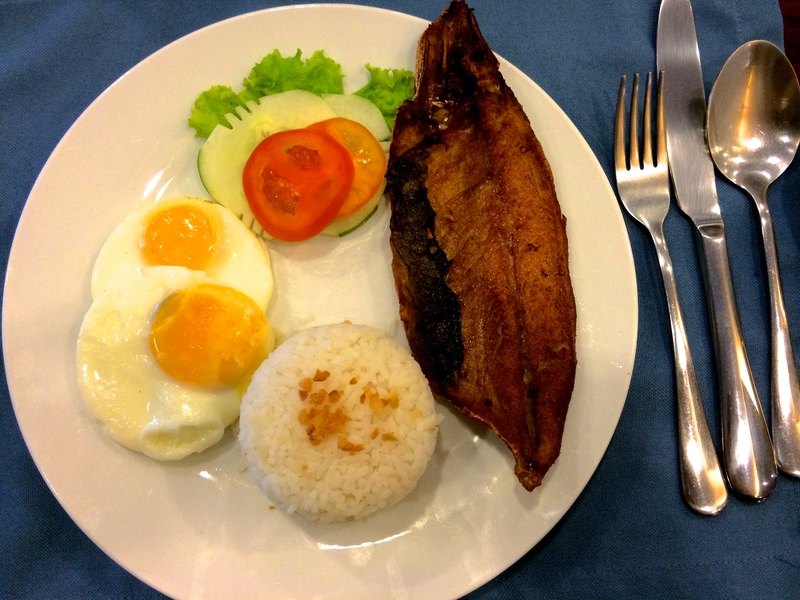 Being a food-focused tourist, I was excited to try Filipino food. A Shangri La valet attendant recommended his favorite place, Fely J’s, to get a taste of the culture. 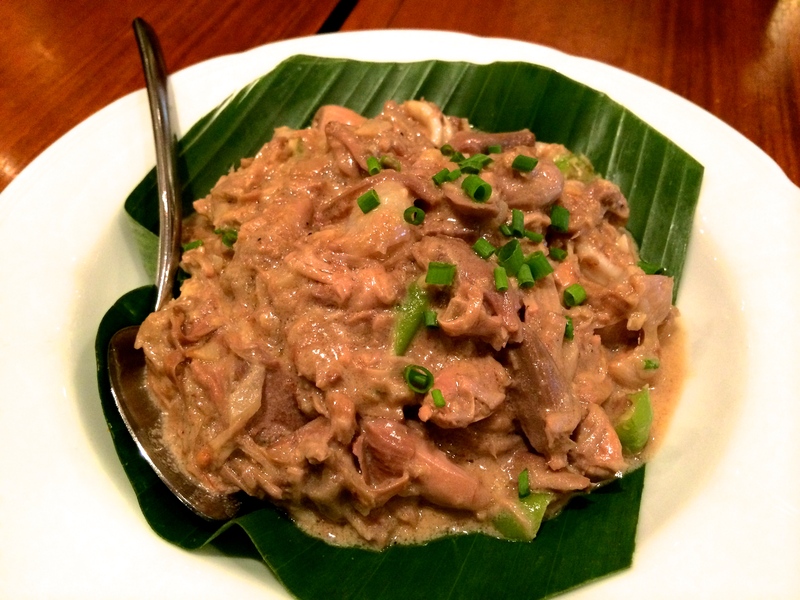 I ordered Ginataang Nangka at Lamang Dagat, a jackfruit and seafood dish cooked with coconut milk. When the server placed it in front of me, I was taken back and had to ask if it was the dish I ordered. The dish before me looked 100% like a big plate of stewed meat. After he assured me it was the jackfruit / seafood mashup, I still was freaked out. 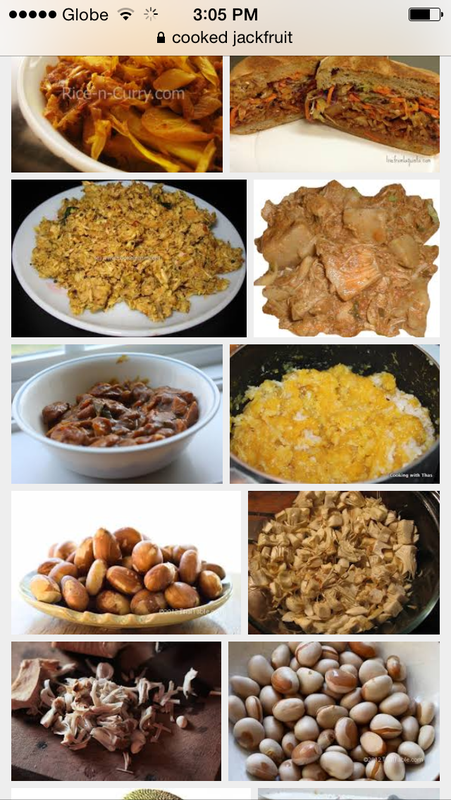 Not knowing what jackfruit even looked like, I Googled it to see if it resembles a corned beef. The results were a bunch of shredded pork-looking pictures, so I accepted the meal as jackfruit and gobbled it up. It was delicious, albeit concerning. The milkiest fish there ever was! Days glued to my laptop gave way to nights searching for ways to pass the time. I can’t tell you where local Filipinos hang out, but I can recommend some good luxury hotel bars in Makati. On Monday night, I tried the Fairmont Hotel’s Long Bar where a 70 year old Japanese man tried to buy me drinks. On Tuesday night, I met up with new Israeli friends at the Peninsula’s smokey cigar bar, aptly named The Bar. 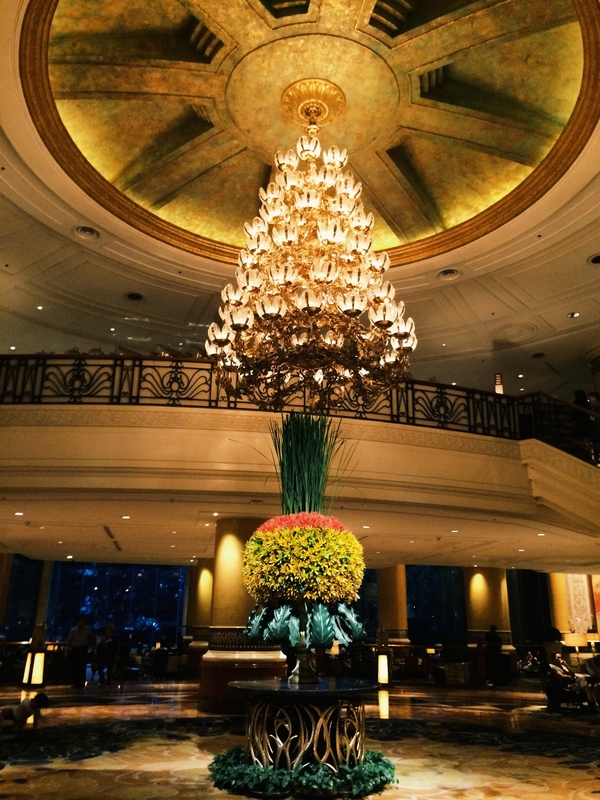 In the massive lobby, complete with live orchestra, I made a mental note to one day earn enough money to casually stay at Peninsulas around the world. 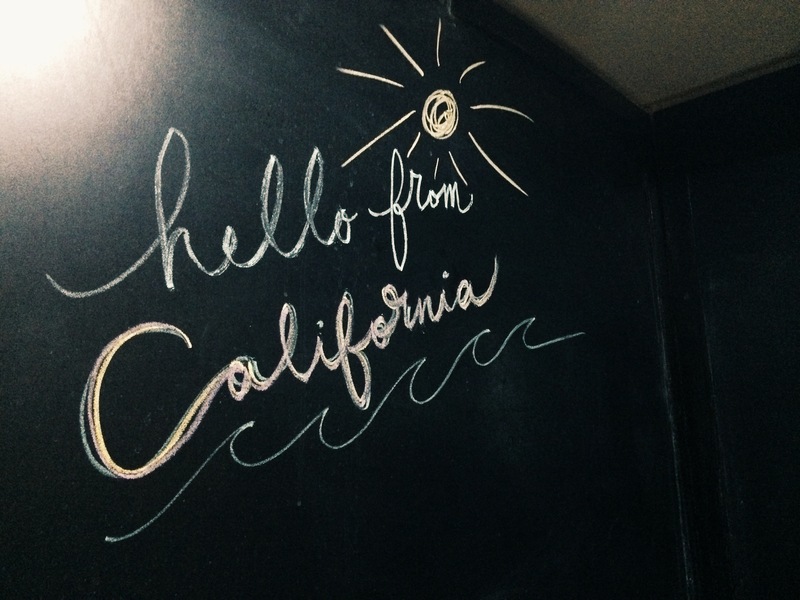 One bar had a chalkboard in the bathroom, so I obviously threw my home state a shoutout. On Wednesday, I checked out of my hotel and anxiously waited at the ol’ Museum Cafe for 3 pm to roll around. Would my visa application be approved? Would I rot in Manila for the rest of my life? These questions ran through my head as time crawled by. Even though the city was starting to grow on me, I was homesick for Bangkok. 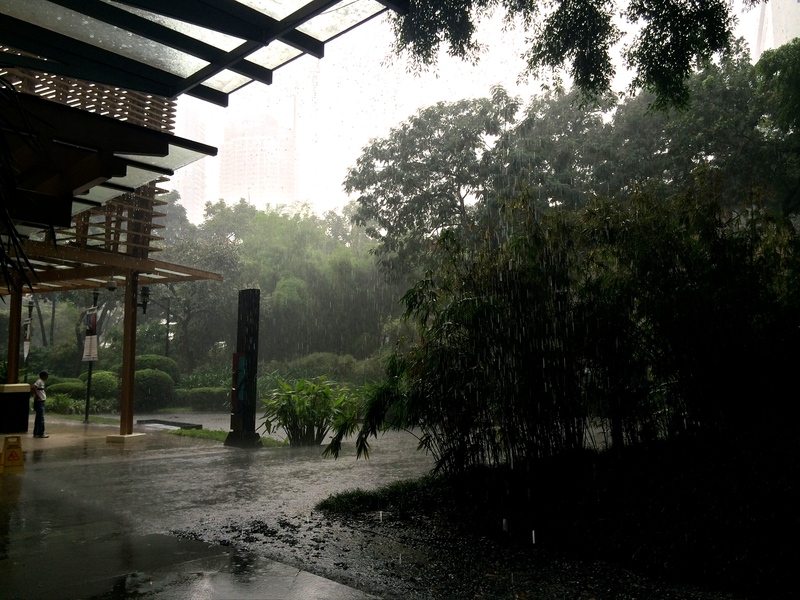 At 2:50 pm, I walked in the gloomy drizzle to the embassy as people on the street stared at me. There aren’t a lot of white women here, and I stick out no matter how subtly I creep around. Side note: if you need a confidence boost, head on over to the Philippines where people are very up front with compliments! You will get a “Hello beautiful lady!” every few blocks, which makes for great self-esteem. Even women will throw out unwarranted compliments while you’re standing in line! I almost cried when I left the embassy. I had my visa! I could go home! So much happy! 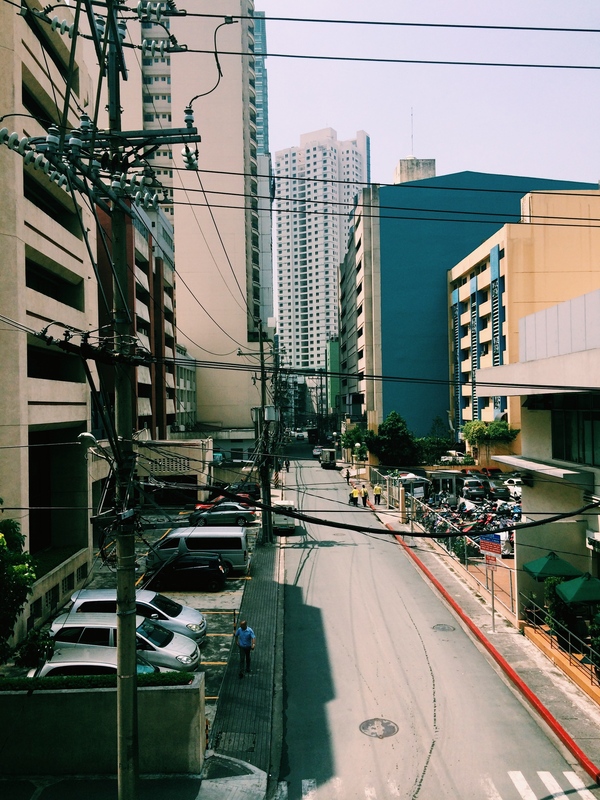 Having only been in Thailand for about three weeks, I almost felt like I had moved to Manila for all the time spent there. I went to Mondo Juice to work and wait to head for the airport. My parents swooped in for another win by wiring me some money, as I was running dangerously low on my cash supply. After my visa win, I still had to pick up the money before the Western Union closed. I looked up the bank on my phone and had time to make it before closing. Got to the bank and had looked at the hours for the wrong day – the bank was closed! Thirty minutes of power walking around Makati, I finally found an open Western Union and got the money (dripping in sweat, of course). If my parents hadn’t sent the money, I wouldn’t be able to take a taxi to the airport or paid the surprise 550 Filipino pesos it cost to leave the country. THANK YOU PARENTS FOR SAVING ME YET AGAIN! Another traffic jammed ride to the airport and my time in Manila was coming to a close. 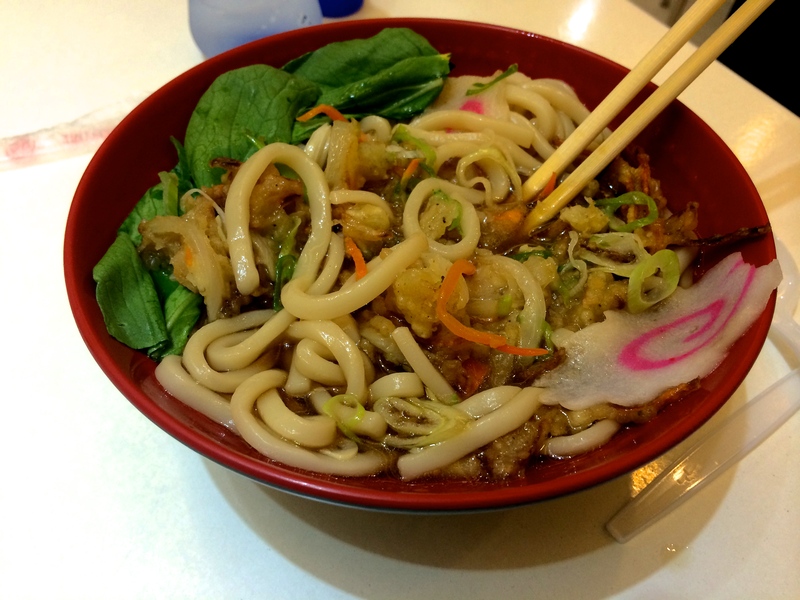 I ate a delicious vegetable noodle soup at a place called Kaishu near my gate and felt a pang of sadness to leave. 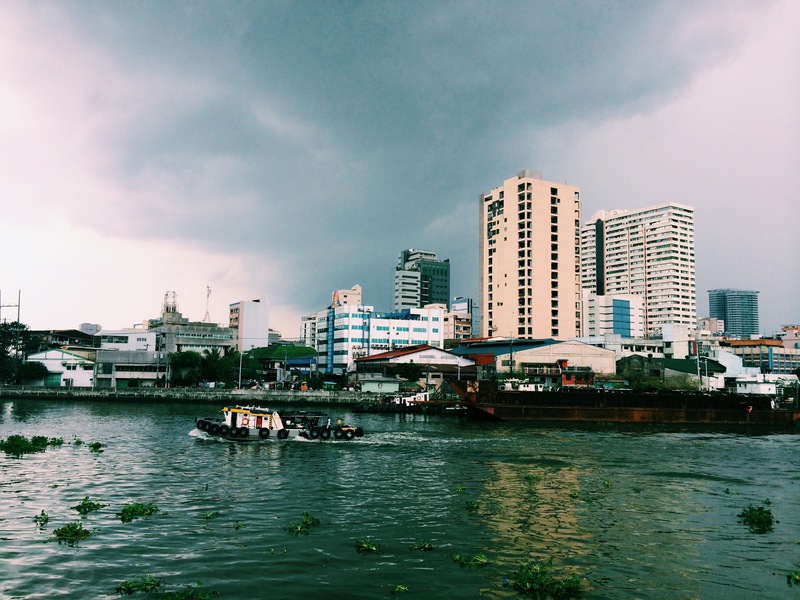 Manila may not have been my favorite place in the world, but the more time I spent there the more I fond of it I became. The people are welcoming, kind, and helpful. I’d have to come back again and get out of the urban jungle and see the islands. I didn’t have to be as scared as I was when I arrived, and should remember that going forward with my travels. People keep referring to my worries as “so American” and maybe being raised on Fox News wasn’t so great for my trust in strangers. The move to Asia, one big learning experience after another.